When arriving in Edwinstowe along the Mansfield Road people will notice a grey stone farm house on the left, but this is not the original farm. That was situated near the river and where William Villa Real, a Jew from a rich family that had been driven out of Portugal in a pogrom against the Jews, resided. The house was taken down and re-built in its present position and still bears the name of its former owner “Villa Real”. He married Elizabeth Halifax from Mansfield in 1755, and they settled in Edwinstowe. In 1757 they had a daughter, Elizabeth. He also had a natural daughter who married a Dutton, a Mayor of Chesterfield. 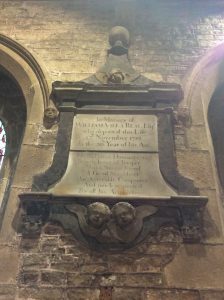 Sadly, William died in 1759, aged 30 and is buried in Edwinstowe Church. His memory has been recorded by a monument on the south wall near the Lady Chapel. However, there is much to be told about the family. William’s mother, Rahel, (or Kitty as she was known after baptism), was born in 1709 to Joseph Da Costa and Leonora, a 3rd generation of Jews resettling in London from Portugal in 1726. She and her cousin Jacob (or Philip as he wished to be known) were intended for each other when young. However, he was turning out to be a rake and gambler, so Kitty’s father decided there would be no engagement. Although Kitty had been upset over the split with Philip, within 9 months (1727) she had been married, without her consent, to Joseph (Isaac) Da Costa Villa Real, the head of the family. Her dowry was £5000. Within 2 years she had borne two children: Sarah (Elizabeth) in 1728 and Abraham (William) in 1729. When Isaac died in 1730 Kitty and children returned to live with her father. Weeks later she wrote to Philip agreeing to marry him. The family were outraged and she was so hysterical that she was sent to their country estate to recuperate, while Philip was denied access to her. When the year of mourning was over Philip claimed a contract of marriage and took action for a breach of contract, the first time a Jew had resorted to the English Courts, and an Ecclesiastical tribunal at that. He had his argument printed and published as a book under a nom de plume, claiming £100,000 to soothe his stricken heart. The action was dismissed, having caused a great scandal. Kitty fled to Blyth in Nottinghamshire, where her late husband had property. 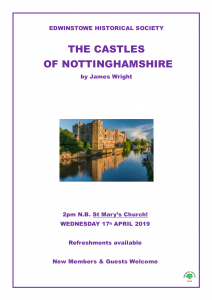 There she met William Mellish, whose family had owned an estate since 1635. They married in Kitty’s London house in 1735 – albeit a Fleet Marriage, i.e. a clandestine one. A month later Rahel was baptised as Catherine and henceforth known as Kitty. Their first child died when 2 days’ old, and a son, Charles, was born in 1737. Kitty then went to Court against her father to recover her other 2 children. Because she was now a Christian the Judges granted her petition and the children were baptised within a month and their names were now William and Elizabeth. Kitty was never again mentioned in public even when William Mellish was elected to Parliament – possibly helped by her money. By the time he was returned in June 1747 Kitty had been dead for 3 months. 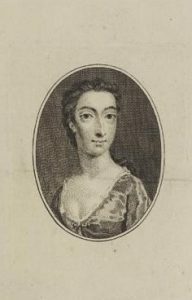 In 1747 Kitty’s daughter, Elizabeth Villa Real, married the heir of Viscount Galway, and was the first person of Jewish blood to marry into peerage. In 1755 William Villa Real married Elizabeth Halifax of Mansfield, sister of Samuel Halifax who became Bishop of Gloucester, and of Robert, physician to Prince of Wales, later George IV. They had a daughter, Elizabeth, in 1757. William’s widow re-married in 1763 to Captain William Hutchinson of Eggleton, (? Eggleston) Durham, but four years later she was widowed once again. Her daughter, Elizabeth married William Thomas Gooch in 1775 but divorced in 1781. She said she had been tricked out of her inheritance by her husband and fell into debt. She was arrested and wrote her first confessions from the Fleet Prison in 1788, entitled “Appeal to the Public”. Later she wrote several novels, and poems, and called herself Elizabeth Sarah Villa Real Gooch. Kitty’s son, Charles, by Mellish, became Recorder of Newark and was an M.P. in 1774. His son Colonel Henry Francis Mellish died without issue in 1817. 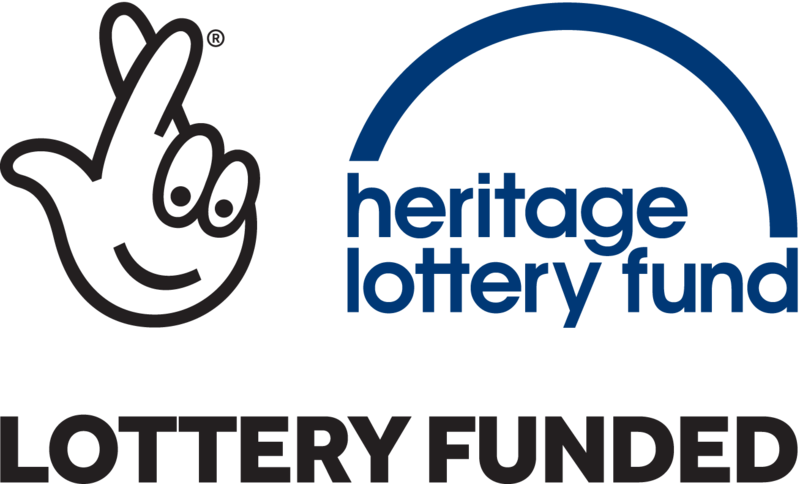 He lost nearly all the estate gambling with Prince Regent, George IV, with the exception of Hodsock Priory, which was entailed to his sister Ann. The present occupant, Lady Buchannan is related to them. 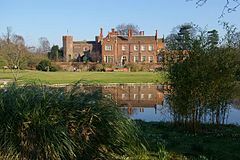 A few years ago, on a visit to Hodsock Priory, members of Edwinstowe Historical Society were shown a portrait of Elizabeth Villa Real and a copy of the novel she wrote. 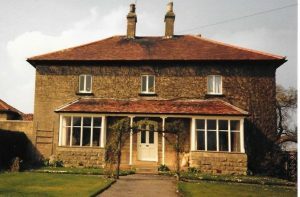 Ownership of the farm in Edwinstowe has changed many times over the years, and currently is a home which provides care for vulnerable young people.